As Musto are about to reveal their new range of clothing and accessories for Autumn/Winter 2012, we look at some of the key items, and why Musto clothing and accessories are a cut above the rest. This boot is made with a 100% Leather upper and an OutDry® Liner. Using new technology, the liner is a waterproof and breathable membrane which will protect you against sleet, rain or snow. It keeps your feet warm and dry, while ensuring these boots last longer. The Buckden boot has been built with comfort in mid and is tailored to give the best fit, and support comes from the Vibram® outsole. 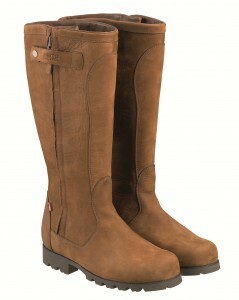 The Musto Buckden Shooting boot comes in a classic brown colour. This classic Leather Cartridge Bag has the capacity to hold 100 cartridges and is built to last; craft in England, and designed on the traditional London pattern, Musto have thought of everything. Hand sewn in England, and with a burgundy suede lining adding to the quality and style of this bag, there is also a hinged lid for easy access. 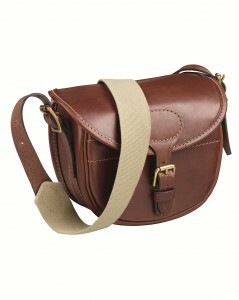 This luxurious bag has been made with the best quality Italian leather to ensure longevity. 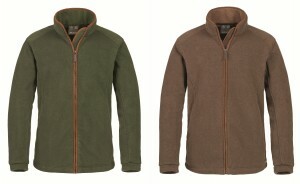 Made from 95% wool, Musto’s Technical Tweed Jacket comes in 2 new colours: Heath, and Glenn. 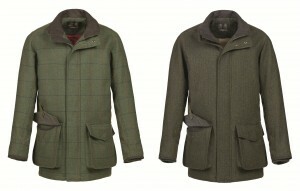 The Heath tweed is a classic herringbone, while the Glenn is checked tweed. The jacket offers maximum protection against the weather and wind, while the pockets are lined with microfleece to keep your hands warm. The jacket is lighter in weight to ensure your movements are not restricted. Made from 100% polyamide, this jacket is built to withstand a lot. This jacket is also water and windproof, and highly breathable. The light insulating wadding will ensure you are kept warm throughout the day. For each Musto Loddington jacket sold, Musto contribute to the Game and Wildlife Conservation Trust, who they have supported since 2009. The Keepers Jacket is back for Autumn/Winter 2012, and this time with a new fit and fabric to enhance performance. Now made from polyester and polyamide, it uses DWR technology, which keeps the jacket waterproof and allows the water to bead off and not soak into the fabric. 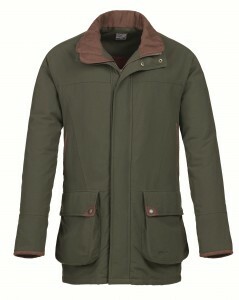 This is a long shooting jacket, with a quilted upper body to keep you warm and a stain resistant shell. 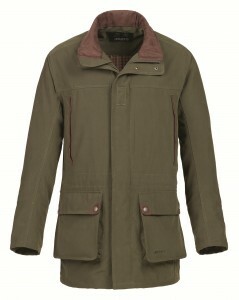 A large back poacher’s pocket and 2 inner security pockets maximise the capacity of this jacket. Musto’s Windjammer Shooting Jacket comes in at a great price; a shower and windproof breathable jacket. It is thermal insulated to keep you warm, and close fitting to protect you from the elements, with cartridge pockets for easy access. 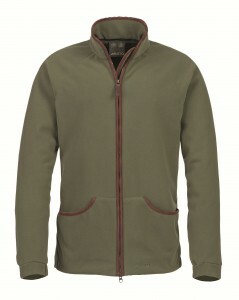 The jacket features a 2 way front zip, and allows maximum movement throughout. The Fleece Country Jacket comes in 3 colours: Navy, Caramel and Dark Moss with a synthetic suede trim and an open ended centre front zip. The front pockets are also zipped to keep your belongings safe. This will undoubtedly keep you warm, and is highly versatile. 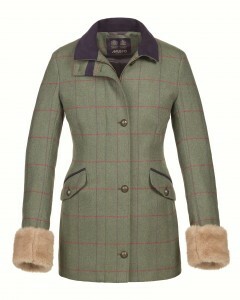 The Musto Luxury Tweed Country Jacket is no understatement. Made from a blend of lambswool and Angora, with a moleskin trim, it is luxury personified. The jacket features a soft satin lining, and brass buttons. This fitted jacket has optional faux fur cuffs to add distinctiveness and style.